Do you know the details about your pool wiring? If not, maybe you should try to learn more about it. This is very important because your ignorance might compromise the safety of your family or guests as they spend time in and around the pool. Even if there is a huge amount of water in the area, your pool still requires electricity to be completely functional. The pool pump, heater, lights, and other equipment need electricity in order to run. There are two important concepts that you need to know about the wiring of your swimming pool – the electrical bonding and grounding. Bonding refers to the process of joining electrical and metallic components of the pool with a wire. The goal is to form a path between the various components that is non-resistive. This process is important because it will keep the transmission of electrical voltage from harming people and pets. It will be contained where it should only be. When done properly, it will contain the harmful current as it flows and will trip the breaker at the panel when necessary. Without bonding, there is a high chance that stray electrical current can be felt whenever you touch conductors of electricity like metal rails or the water in the pool. Poor pool wiring can make it dangerous – so make sure the bonding is done correctly by a professional. 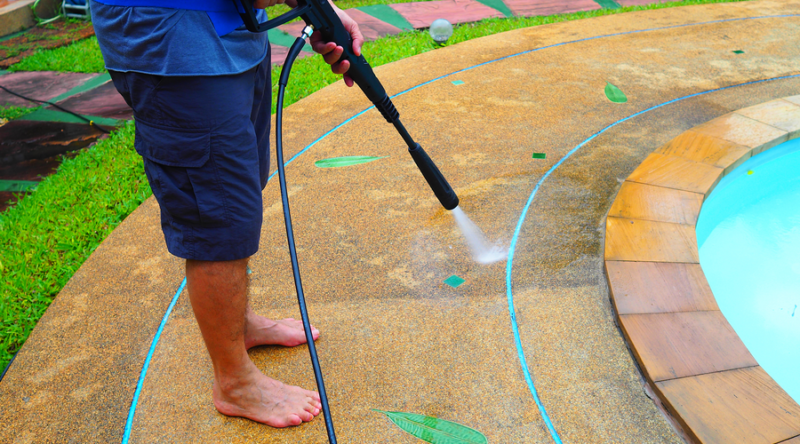 Grounding, on the other hand, is the process that connects the bonded components of the pool to the earth. To be specific, the pool wiring and the overall electrical network are connected to the panel before being directed to the earth. This way, the electrical currents that may leak will be directed and dissipated to the ground. This will keep it away from the people, pets, and equipment within and around the pool – specifically those that can conduct electricity. When you have both electrical bonding and grounding, you are keeping the general pool area safe from electrical shocks and accidents. Here are some additional safety tips when you are dealing with pool wiring. Before you work on anything or have someone work on the wiring, you need to turn the power off. This is how you can ensure the safety of those that will be working around the pool. Shut off all the breakers. Make sure the breakers are taped so nobody will accidentally turn it on while someone is working on the wirings and connections. It is also important for you to hire a professional electrician to do this. It is dangerous to DIY this if you have no experience or training for it. Not only will it be dangerous for you as you work on it, but you also do not know the quality of the work that you will do. Something might go wrong because of an incorrect connection. Faulty wiring can start a fire or lead to electrical shock. Finally, you have to make sure the work area is dry. Since the pool wiring is within reach of water, you want to make sure it will not pose any hazard. Never be reckless in handling electricity while in a damp or wet area. This is true even if the breaker is turned off. Consider all of these when working on the pool wiring. Get to know as much as you can so you will not end up making a mistake. Not only that, you will know what to look out for in case the wiring needs to be fixed.